Truck Driving Simulator 2018 Is The Latest Version And TheMostRealistic Truck Simulator With The Greatest 3D GraphicsTechnologyOn Google Play ! * GAME FEATURES:• Incredible Graphics•More Than 20Maps• More Than 150 Missions• Customize Your Truck!•Huge OpenWorld• Realistic Weather• Multiplayer Mode• OnlineRanking• MultiLanguage SupportNEW UPDATES COMING SOON! School Driving 2018 Is The Latest Version And The MostRealisticDriving Simulator With The Greatest 3D Graphics TechnologyOnGoogle Play ! * GAME FEATURES:• Incredible Graphics• More Than20Maps• More Than 150 Missions• Customize Your Car!• Huge OpenWorld•Realistic Weather• Multiplayer Mode• Online Ranking• MultiLanguageSupportNEW UPDATES COMING SOON! Truck Simulator Driver 2018 Is The Latest Version And TheMostRealistic Driving Simulator With The Greatest 3DGraphicsTechnology On Google Play ! * GAME FEATURES:• IncredibleGraphics•More Than 20 Maps• More Than 150 Missions• Customize YourTruck!•Huge Open World• Realistic Weather• Multiplayer Mode•OnlineRanking• Multi Language SupportNEW UPDATES COMING SOON! Want to know what driving a real truck feels like? Euro TruckDriver - 2018 is the best truck simulator that allows you toexperience next-gen graphics, awesome features and realistictrucking scenarios. 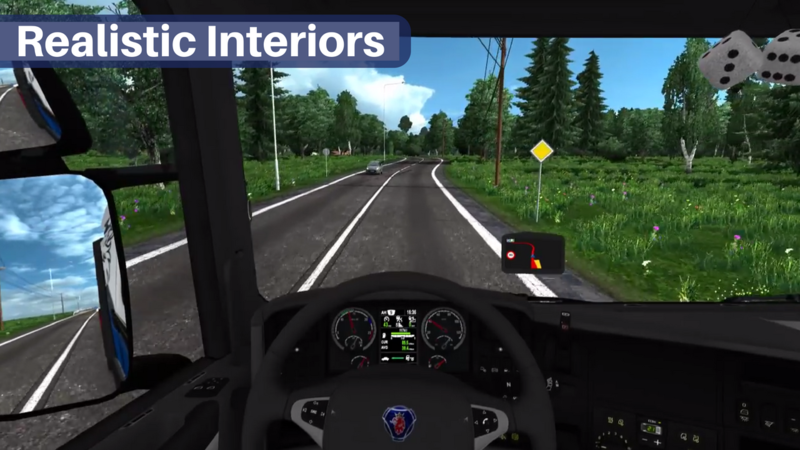 This Euro Truck Simulator features many truckbrands, with realistic engine sounds and detailed interiors! Driveacross Europe, transport stuff from a city to another, explore theamazing Open World map! Become a professional truck driver andenjoy the Career and play with your friends in the OnlineMultiplayer mode! Drive Across Europe, play the best European TruckSimulator! Features: • Euro Truck Brands • Huge Open World EuropeMap • Desert, Snow, Mountain and Cities • Realistic Controls (tiltsteering, buttons or virtual steering wheel) • Manual Transmissionwith H-Shifter and Clutch • Accurate Engine Sounds • Lots oftrailers to transport • Multiplayer Mode and Career Mode • Visualand mechanical damage on vehicles • Dynamic Weather System (snow,rain, sun...) • Request new trucks or features on our Social Pages! Drive the world's most famous trucks through challenging roads thatwill test all your driving skills, Feel the way trucker lives!Characteristics: - Many trucks: Vehicles with power and differentgears, including Brazilian, European and American models! (MoreTrucks will be added in the next updates) - Skins for Trucks,Trailers and Drivers: Customize with your favorite painting! -Realistic physics: Our team tested real vehicles and collectedopinions from truckers to bring to the game a reality experience asclose to reality for the players. We also include suspension in thecabin, movement of the mounds, movement of the antennas px, Changeof adherence in the Track according to the type of terrain or inrainy day and many other news. -Adjustment of steering sensitivityand different control types. 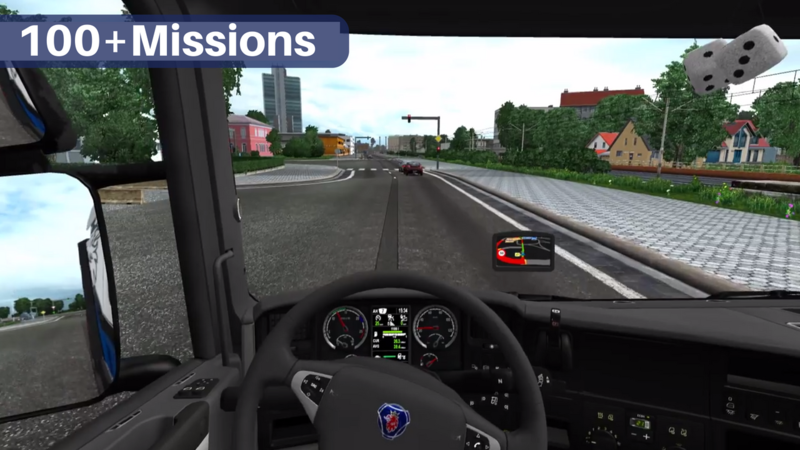 - Smoke realistic in the exhaust -Automatic and manual gearbox - Adjust the driver's position in thecabin - Simulation of the main functions of trucks, for example:two types of differential lock, motor brake, autopilot, arrows,alert, cleaners, high light, low light etc. - Realistic graphics,with configuration options to run on weaker phones! - DangerousRoads: Take on the challenges and prove yourself a good driverthrough dangerous saws, dirt roads and many challenges! - Large mapof open world with several cities (the map of the game will also beexpanded in the next updates) - Various types of cargo includingdry cargo, bi-train, etc. (more loads will be added soon!) - Cycleday / night With beautiful visual! - Rain and climate change! -Leaderboards! - System of achievements - Report on the latest gainsand expenses. - Radars and fines - People in companies - Scales,toll booths, tax stations, gas stations and various other events inthe game. - Gps on Dashboard - Driver's license with thepossibility of the player putting his photo. In it you will havethe information of Level, fines, freights, km rotated and quantityof trucks, for you to share with friends! The game will receiveseveral updates over time, to always be bringing news to players! Want to know what driving an 18 Wheeler feels like? 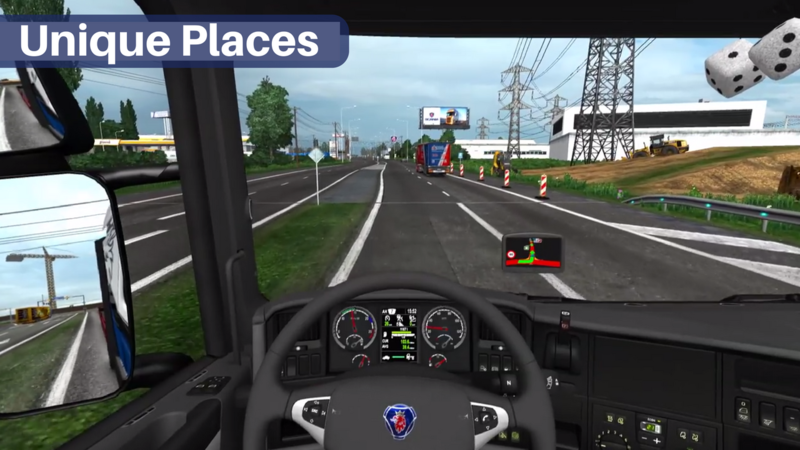 Truck SimulatorUSA offers a real trucking experience that will let you exploreamazing locations. This American Truck Simulator features many semitruck brands, with realistic engine sounds and detailed interiors!Drive across America, transport cool stuff such as vehicles,gasoline, gravel, food, and many more… Become a professional truckdriver and enjoy the career and the online multiplayer mode! DriveAcross American, play Truck Simulator USA!The best Truck Simulator2017!Features:• Many American Truck brands• USA, Canada and Mexico•Different climate locations: desert, snow, mountain, city• ImprovedControls (tilt steering, buttons or virtual steering wheel)• ManualTransmission with H-Shifter and Clutch• Realistic Engine Sounds(V8, Cummins, etc..)• Lots of trailers to transport• MultiplayerMode and Career Mode• Visual and mechanical damage on vehicles• Newweather system (snow, rain, sun...)• Request new trucks or featureson our Social Pages! Play the new Truck Simulator USA:https://play.google.com/store/apps/details?id=com.ovilex.trucksimulatorusaEuro Truck Driver lets you become a real trucker! 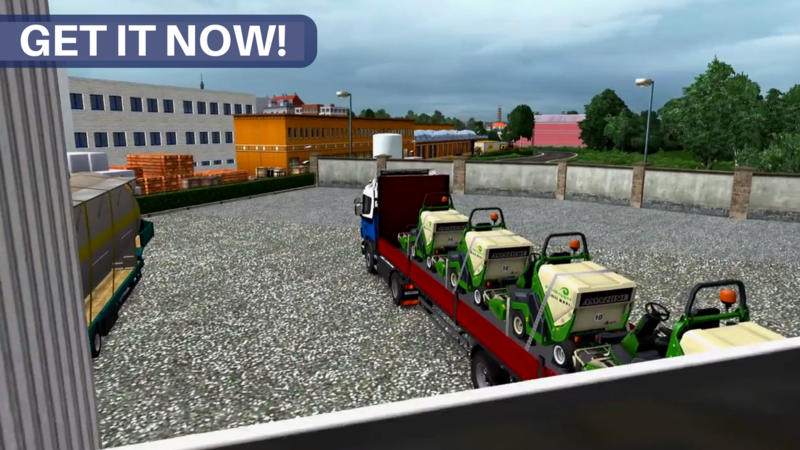 FeaturingEuropean trucks with lots of customizations, this truck simulatordelivers an exciting driving experience that will make you feellike driving real trucks. Travel across many countries from Europe,visit incredible places like Berlin, Prague, Madrid, Rome, Parisand more! Play the career mode of this truck simulator, make money,purchase new trucks and upgrades, explore the trucking world!Challenge your friends with the online multiplayer mode, show offyour customized truck! 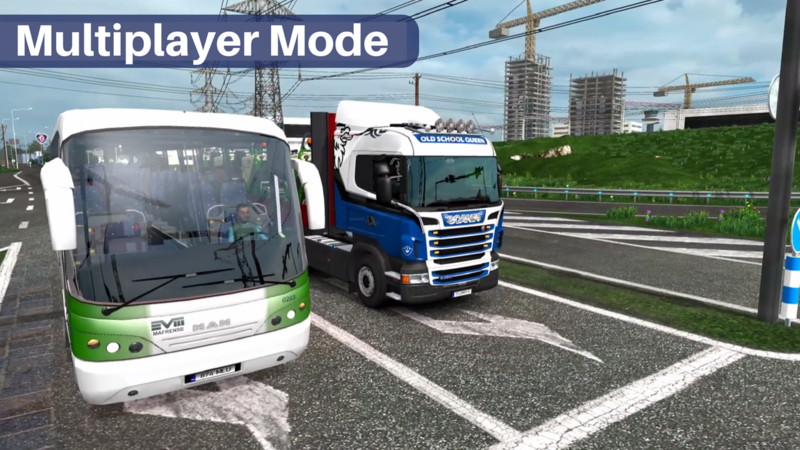 Become the King of The Road by playing EuroTruck Driver! New Multiplayer System! Features: • 12 European truckbrands (4x2 and 6x4 Axles) • More than 20 realistic cities • Driveacross country roads, highways and offroads • Easy controls (tilt,buttons or touch steering wheel) • Realistic weather conditions andday/night cycle • Visual damage on trucks • Detailed interiors foreach truck brand • Amazing engine sounds • Improved AI trafficsystem • Online Multiplayer with Servers or Convoy mode •Achievements and Leaderboards • Request new trucks or features onour Social Pages! • Controller Support, play with your Gamepad! Tryit on AndroidTV! Drive BIG Cargo Trucks across 4 beautiful cities! 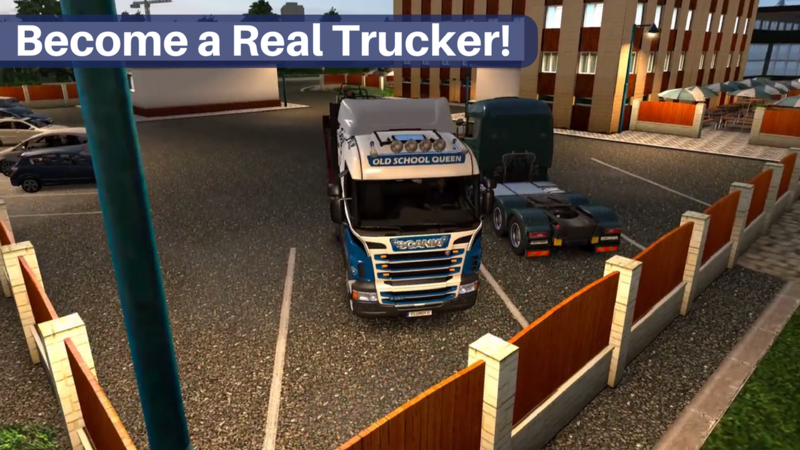 Euro TruckDriving Simulator 2018 is an ACTION packed realistic trucksimulator game that will test your driving skills in real traffic!Euro Truck Driving Simulator 2018 gives you a REALISTIC truckdriving experience! Feel like a real Trucker and deliver heavypackages loaded in your Euro truck. 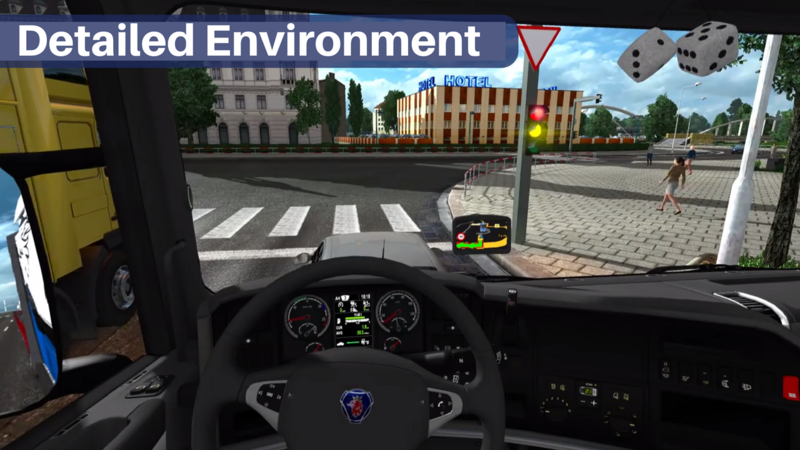 Operate big trucks to deliverpackages and complete different MISSIONS Driving a big truck in theEXCITING Euro Truck Driving Simulator 2018 game may not be easy asit looks! You must be an expert in parking trucks to deliverpackages to the right locations. Drive on the MASSIVE roads fromone city to another. Drive your loaded truck in the beautifulEuropean countryside, over dangerous mountains and hillyenvironment and along green farms. Change the camera view as peryour comfort to the sturdy exterior or the realistic plushinteriors Play the career mode of this truck simulator, make moneyand purchase new trucks and upgrades. Explore the trucking worldand become the king of the road! Euro Truck Driving Simulator 2018FEATURES: -- Realistic traffic environment -- Many cargo transfermissions -- Different trucks to choose from -- Realistic truckphysics -- Amazing 3D graphics -- Realistic Euro truck interiors --Realistic game sound effects -- Many grand Euro trucks to drive --Easy steering wheel, buttons or tilting controls -- Realisticweather conditions -- Fresh attractive music Get Euro Truck DrivingSimulator 2018 now to feel like you are driving a real truck! 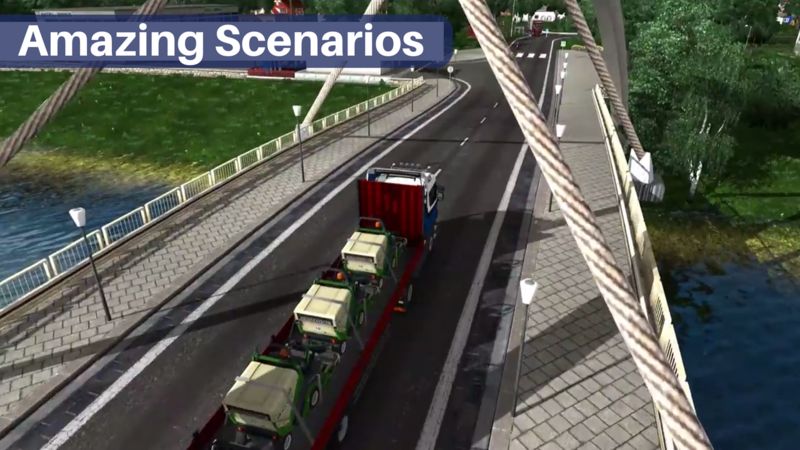 Driveyour truck between cities, highways and mountains to completeCHALLENGING missions and become the ULTIMATE truck cargo driver inthis Euro Truck Driving Simulator 2018 game.